Mrs. Mary Alice Howard, age 50, of Statesboro, Ga., passed on Saturday morning January 19th after an extended illness at Abercorn Rehabilitation Center of Savannah, Ga., under the care of Hospice Care of Georgia. 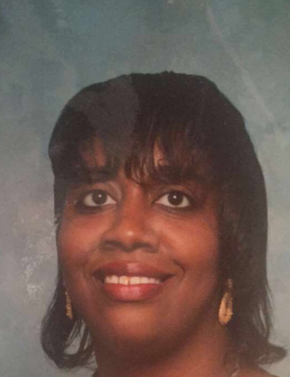 She was a 1986 graduate of Evans County High School of Claxton, Ga. She was a member of Statesboro Mission Outreach Church of Statesboro, Ga.
She is survived by a loving son Mr. Damian Howard of Pooler, Ga.; her loving sisters Mrs. Annie Ruth Murphy of Register, Ga., Mrs. Gloria J. (Wilbert) Gordon of Pooler, Ga., Mrs. Lesia Goodwin and Mrs. Liz (James) Smith both of Statesboro, Ga.; her loving brothers Mr. Luke (Arlene) Howard of Twin City, Ga., Rev. James (JoAnn) Howard of Claxton, Ga., Mr. Floyd (Maleassa) Howard of Reidsville, Ga., Mr. Joshua Howard of Pooler, Ga., and Mr. Micheal Howard of Statesboro, Ga.; and a host of other relatives and friends. Viewing will be held Thursday January 24, 2019 from 2-8pm at the Craig R. Tremble Funeral Home, Statesboro Chapel. Home Going Services for Mrs. Mary Howard will be Friday January 25, 2019 at 11am at the Statesboro Mission Outreach Ministries, 20597 US-301, Statesboro, Ga., with Minister Carlos Reynolds, Presiding and Bishop Virgil Badie, Eulogist/Pastor. Interment will be held in Church Cemetery.